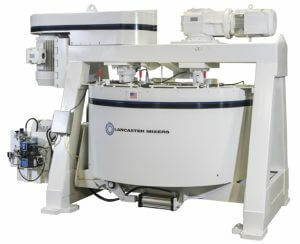 Unlike most mixers, the Lancaster Mixer pan is also considered a mixing tool on our high shear counter-current mixer. The pan rotates in the opposite direction from the main rotor and plow, creating the shearing action inside of the mixing cavity. The pan also doubles as the mixing receptacle to hold the materials. The large pan drive ring and labyrinth seal ring are completely machined starting with very large forged-steel rings. The anchoring of the pan side wall with the two large machined rings provides the design needed to keep the pan walls truly round during the entire life of the mixer. This ensures the mixer’s ability to homogenize and pelletize batch after batch over its lifetime. It also allows for tighter sealing to maintain optimal functionality in dusty environments. The main rotor comes in two standard configurations – the star and pin rotors. Both rotor configurations can mix and pelletize but depending on the end product, it may be beneficial to use one over the other. The star rotor is geared more towards mixing, de-lumping and granulating. The pin rotor is used when the end product required is very round, dense pellets, such as proppants. Other customized rotor configurations are available for specialized mixing situations. The plow rotor in the K-Series high shear mixer has several functions Its primary role is to move material to the high-speed mixing tool. The plow also cleans the bottom of the pan to prevent material build up and aids in discharging the mix. It eliminates the need for a bottom tail on the sidewall scraper blade which can be an obstacle to flow during mixing, and may reduce the mixer’s effectiveness. Lancaster Mixers are designed with three dedicated motors for the mixer’s pan gear-drive, the plow gear-drive, and the rotor belt-drive. Individual drives allow for infinite variations for the rotational speeds of each mixing tool. The capability to independently control the speed of each tool results in the most desirable final mixed/pelletized product. 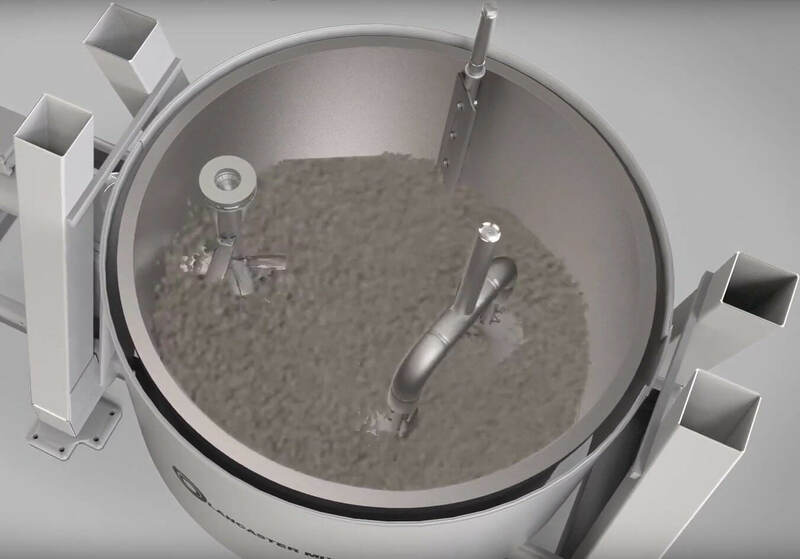 Altering individual tooling speed allows the mixer to create exact and repeatable conditions and shear within the mixing cavity that produce specific products – such as pellets of a specific size within a tight tolerance. Even slight adjustments to the tooling speeds combination can produce different sized granules, densities and yields. This gives the Lancaster Mixer the versatility to change the end product from batch to batch without altering the ingredients. Contact us today to learn more about how Lancaster Mixers multi tool configuration can help improve your mixing and pelletizing process.